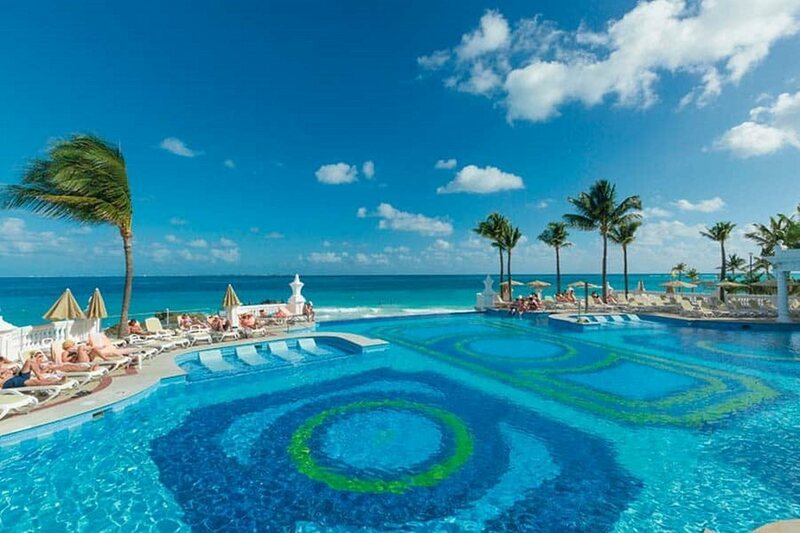 With a stay at Riu Palace Las Americas All Inclusive - Adults Only in Cancun (Hotel Zone), you'll be a 3-minute walk from Caracol Beach and 7 minutes by foot from Plaza Caracol Mall. This 4-star resort is 0.9 mi (1.5 km) from Forum By The Sea Mall and 0.9 mi (1.5 km) from Chac Mool Beach. Make yourself at home in one of the 372 air-conditioned rooms featuring minibars and flat-screen televisions. Rooms have private balconies. Complimentary wireless Internet access keeps you connected, and satellite programming is available for your entertainment. Partially open bathrooms with shower/tub combinations feature complimentary toiletries and hair dryers. Relax at the full-service spa, where you can enjoy massages, body treatments, and facials. You're sure to appreciate the recreational amenities, which include 3 outdoor swimming pools, a health club, and a sauna. Additional amenities at this Art Deco resort include complimentary wireless Internet access, concierge services, and gift shops/newsstands. This resort is all inclusive. Rates include meals and beverages at onsite dining establishments. Charges may be applied for dining at some restaurants, special dinners and dishes, some beverages, and other amenities. Grab a bite at Black & White, one of the resort's 7 restaurants, or stay in and take advantage of the 24-hour room service. Snacks are also available at the coffee shop/café. Relax with a refreshing drink from the poolside bar or one of the 5 bars/lounges. A complimentary hot/cold buffet breakfast is served daily from 7 AM to 10:30 AM. Featured amenities include limo/town car service, a computer station, and express check-in. Event facilities at this resort consist of conference space and a meeting room. Free self parking is available onsite. discover all that Cancun can offer you!